At Convergence Group we're not only ISO accredited but we're also HSCN and PSN accredited too. Convergence Group has successfully achieved certification to the internationally recognised quality standards ISO9001:2015, ISO27001:2013 and ISO14001:2015. These establish the company as a leader in its field. This independent assessment was conducted by the British Standards Institute (BSI), the UK’s leading certification body and demonstrates our commitment to customer service and quality in delivery. On 16th February 2018 we became certified to the ISO9001:2015 Standard and continue to demonstrate our commitment to customer service and quality in delivery. We are committed to a policy of 'Right First Time' and continuous improvement in the quality of products and services we offer as well as our quality management system. On 3rd May 2017 we attained certification for ISO14001:2015 which demonstrates our commitment to reducing our environmental impacts and protecting the environment. We are committed to driving a process of continual improvement through the implementation and maintenance of our Environmental Management System. On 23rd August 2013 we successfully achieved ISO/IEC 27001.2013 to reflect our commitment to maintaining the security of our Information systems through our People, Processes and Technology. CAS-T is the NCSC Commodity Assured Service (CAS) scheme for Telecoms. This scheme supports the government Public Services Network (PSN) and Health and Social Care Network (HSCN), which requires all telecoms services procured by bodies in these sectors to be assured to suitably protect information. We were re-certified on the 19th of April 2018 for our assured Public Sector WAN service. Attainment of this prestigious standard demonstrates our high level of commitment and delivery of information security. Customers receiving or seeking a CAS-T compliant service can therefore rest assured that we are able to provide this. 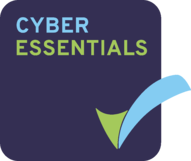 As part of our ongoing commitment to information security we successfully attained the Cyber Essentials standard on the 18th of October 2017. PSN is the government’s high-performance network, which helps public sector organisations work together, reduce duplication and share resources. PSN provides an Assured Wide Area Network (WAN) suitable for use with information classified as Official (IL2-2-4). Convergence Group have achieved full Public Sector Network (PSN) Compliance as a Direct Network Service Provider (DNSP) in March 2015 making us one of only eleven companies in the UK who can offer direct connectivity to the Government Conveyance Network (GCN). As a DNSP Convergence Group can offer connectivity services to both Public Sector companies and Network Service Providers (PSNSP) who are looking to provide PSN certified cloud and hosted services to public sector companies on the PSN. The Health and Social Care Network (HSCN) is a data network for health and care organisations which replaced N3. It provides the underlying network arrangements to help integrate and transform health and social care services by enabling them to access and share information more reliably, flexibly and efficiently. Convergence Group were assessed by NHS Digital on the 12th of April 2018 and were found to be compliant with the requirements necessary for the national provision of Health & Social Care Network Connectivity Services in accordance with the compliance requirements detailed in the HSCN Obligations Framework. Convergence Group is fully accredited to provide connectivity to HSCN via our assured WAN solution. We are committed to protecting the safety of our employees, customers, suppliers & the public and on the 28th of February 2018 we became an approved SafeContractor. This accreditation demonstrates that we are taking responsibility for our legal health and safety requirements and provides such assurance to our employees, customers, suppliers and the HSE.